Everything we think of as great has come to us from neurotics. This is not the easiest volume of Proust. In fact, if you’ve never read Proust this volume is exactly what you were probably afraid he would be like – 100+ page descriptions of dinner parties in which very little happens, very slowly. The writing here is rarely less than beautiful, and of course it’s only part of a much larger body of work, but it’s a challenge. Fortunately it redeems itself at the end, sufficiently so that it doubles my list of books I struggled with only to find the last few pages made the effort worthwhile (Antic Hay’s the other one, if you’re wondering). As I write this my cat is occasionally jumping up and wandering across the keyboard, as cats do. Any insights of note are therefore likely hers. 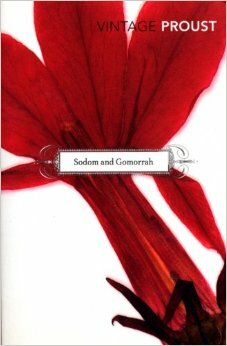 Images of the covers I have, which are rather nice period sketches in red and grey, sadly appear to be unavailable online. The flower covers aren’t bad at all, but I prefer the sketch-covers. 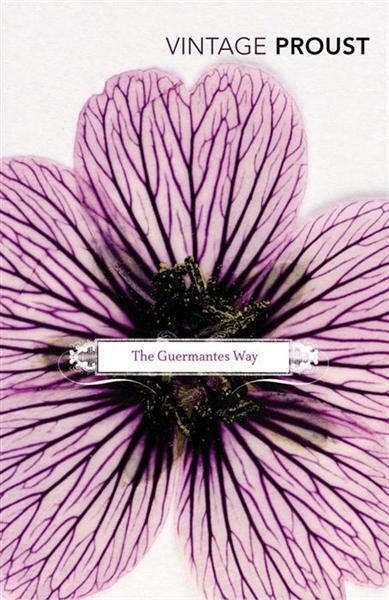 Perhaps even more than most volumes to date, the Guermantes Way is almost two books in one. In the first the narrator begins to enter Paris society, but he is still in many ways a boy. 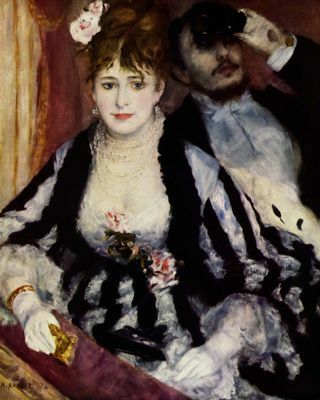 He forms a massive crush on the noted and beautiful society hostess Madame de Guermantes, to whom he has a rather distant connection, and essentially starts to stalk her. He arranges his walks at times of day when he is sure to run into her, and exploits his friendship with the aristocratic young soldier Saint-Loup to arrange an introduction the woman plainly doesn’t want. Wherever she goes, there he is. Just as previously the narrator hero-worshipped the painter Elstir then held Albertine up as the essence of his desires made flesh, now he again creates a fantasy in place of a person. The difference here is that he had opportunity to meet Elstir and Albertine, while Madame de Guermantes quite naturally wants nothing to do with this odd youth who seems so peculiarly fixated on her. She combines beauty with immense social cachet, and her wit (the Guermantes’ family are famed for their wit) is legendary. As long as she’s seen from afar she’s the perfect woman. There’s more of course, vastly more. There are whole sections on the life of the family and servants at their new apartment in Paris. There’s a wonderful and painful moment when Saint-Loup introduces his mistress to the narrator, only for the narrator to recognise her as a prostitute who used to work in a brothel he once frequented. Much more painful however is the decline of the narrator’s grandmother. I saw, sitting on the sofa beneath the lamp, red-faced, heavy and vulgar, sick, day-dreaming, letting her slightly crazed eyes wander over a book, an overburdened old woman whom I did not know. The account of the narrator’s grandmother’s decline into illness and death is staggeringly well written, and because of that rather horrible. There’s no dignity in it, just frailty and pointless suffering, the body turned from ally to incomprehensible enemy. The grandmother passes from being a person to an object, but this transfiguration comes long before she actually dies as she becomes the subject of indifferent doctors and the servant Francoise who is so eager to show how much she cares that she completely ignores any evidence of the grandmother’s actual wishes. It’s difficult stuff to read. That’s the thing with Proust. Few people nowadays have lingering illnesses at home with doctors and family in attendance. We die in anonymous hospitals. Few of us too discover that our best friend’s girlfriend used to be a prostitute. Those are particulars though. Seeing a loved one fall into illness, losing their dignity along the way, that’s sadly damn near universal. Knowing something about someone a friend loves but not knowing whether to tell that friend or not, lots of us have had that particular experience. Part of the richness of Proust is that he reaches through his particulars to the universal human experience underneath. és to which one might go for refreshment without letting oneself be intimidated by the mirrors in gilt frames or the red plush seats, in the Neapolitan style, of the establishment – it was because they rested an indifferent hand on the gilded shafts of the columns which upheld this temple of the lyric art – it was because they remained unmoved by the extravagant honours which seemed to be being paid them by a pair of carved figures which held out towards the boxes branches of palm and laurel, that they alone would have the equanimity of mind to listen to the play, if only they had minds. What that quote does illustrate is Proust’s wit. Much of that lengthy passage is a setup for that final line. The whole thing is an exercise in absurdity. You have to go with the flow though. You have to sit down, immerse yourself in it, let it wash over and through you. Anything else and it becomes trench warfare, advancing a paragraph or so a day with an increasing sense that you’re not going to make it out of this one alive. Speaking of trench warfare, we have the second part of The Guermantes Way. In the first section the narrator makes his first real steps in society, joining the salon of Madame de Villeparisis, which is decidedly unfashionable. In the second he finally finds himself a guest of Madame de Guermantes, Oriane given he’s now on first-name terms. Oriane’s salon is utterly unlike that of Madame de Villeparisis. Where once the narrator attended dinners in which those present gossiped about those not present, repeated the latest stories from society and showed off their wit, now he attends dinners where those present gossip about those not present, repeat the latest stories from society and show off their wit. It’s a whole new world. To be fair, the guests at Oriane’s salon are the most sought after in Paris. She plays host to princesses and persons of note. Oriane’s wit is sharper than most, though not perhaps quite as sharp as reputation has it, and there isn’t the nagging sense of the slightly provincial which comes through in the scenes at Madame de Villeparisis’ salon. Still, much of what’s best in this section is the narrator’s wilful refusal to even admit to himself that one salon is much like the other, that the Guermantes’ home is not the Elysium he dreamed it would be. That Oriane may, at the end of the day, be merely human after all. Proust’s character study of Oriane is a masterpiece, not least in his examination of her comprehensive and unremitting snobbery. Oriane does not consider herself a snob, she is an egalitarian in fact, proudly oblivious to class distinctions. It is mere happenstance that she married a man of her own station, that her guests are the cream of society socially if not always intellectually, and that she treats her servants with what seems to be kindness but is in fact indifference to their actual preferences. Were she alive today she would doubtless have a regular column in the Guardian. In the second of her four pieces on this book Emma of bookaroundthecorner said “We all know a Mme de Guermantes.” It’s true of course, it’s hard to get through life without meeting those whose values are held loudly but lightly. Oriane values artists, but not art; comment, but not analysis. She is unthinking, unreflective, cruel and petty because she swims only in the shallows. It’s not a kind comment on Paris society of Proust’s age that she represents its pinnacle, nor on the narrator that for all he can see exactly what she is he remains just as attracted by it and by the social success access to her promises. I talked above about this volume being a challenge, but one that ultimately pays off. I’ve spent longer at the dinner parties of Madames de Villeparisis and de Guermantes than I have some dinner parties in real life. Given that part of what’s being shown is the vacuity of Paris society life, that means hours and pages spent at the table with people who can be amusing but rarely interesting. Part of what makes all that worthwhile is the way Proust uses it to explore broader currents in then-contemporary society, in particular how the Dreyfus affair is becoming a fault-line in France in the way that say abortion is in the US today, with your position on that one issue being taken as a litmus test for where you stand on a whole range of essentially unrelated issues. So, you’re pro-Dreyfus? That implies you’re politically liberal, anti-militarist, progressive, none of which may of course be true, you might be highly socially conservative and just think that Dreyfus happens to be innocent (or at least that his guilt isn’t proven). If you are though a pro-establishment Dreyfusard you can expect to be viewed with a certain suspicion by others on your side of the political debate, you’re off-message at minimum. The Dreyfus case brought into conflict issues of trust in the military, the status of Jews in French society (which was horrifically anti-semitic), whether tradition has inherent value or whether it should be challenged and examined. The details of the Dreyfus case itself are now fairly obscure, particularly if like me you’re not French, but the broader sweep of the debate remains very current. It’s a specific manifestation of that age-old conflict between the forces of progressivism and conservatism. Dreyfus is an Edward Snowden, a human barometer of wider political sentiment. He was, indeed, in the habit of always comparing what he heard or read with an already familiar canon, and felt his admiration quicken if he could detect no difference. This state of mind is by no means to be ignored, for, applied to political conversations, to the reading of newspapers, it forms public opinion and thereby makes possible the greatest events in history. A large number of German Café owners, simply by being impressed by a customer or a newspaper when they said that France, England and Russia were “provoking” Germany, made war possible at the time of Agadir, even if no war occurred. Historians, if they have not been wrong to abandon the practice of attributing the actions of peoples to the will of kings, out to substitute for the latter the psychology of the individual, the inferior individual at that. The other element of payoff is watching the narrator’s slowly failing struggle to maintain his own illusions. He wants to believe in Madame de Guermantes, and through her in the world she represents and is the paragon of, but evidence is the enemy of faith. Well, generally it is. My own faith in the brilliance of Proust is being slowly rewarded and proven true, but like all faiths it’s sometimes tested and this volume is easily the most testing to date. Emma of book aroundthecorner wrote four excellent and highly perceptive posts on this volume, all of which can be found on her Reading Proust page here. Emma also links to two articles written on the Vapour Trails blog, the first of which is here. Séamus Duggan is the blogger there, and in the second of his posts he says “Sometime I may be able to distill and analyze these books but at the moment it feels like trying to describe water in motion. Always the same but forever changing.” I genuinely couldn’t have put that better myself (so I quoted it, blogs are a conversation after all). There are worlds in Proust, any blog post (even four like Emma did) can only scratch the surface. You just have to dive in. 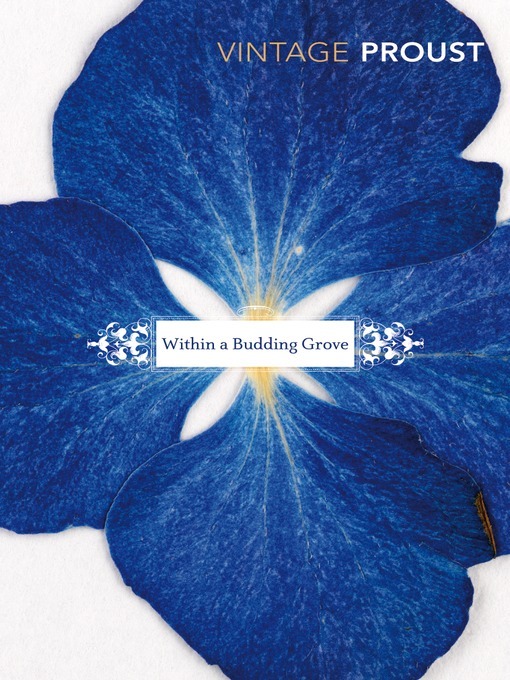 Currently I’m reading Within a Budding Grove, by Proust. For various reasons it’s taking me a lot longer than I’d hoped. Mostly the issue is that I wasn’t able to read it on holiday as I planned. That’s a shame because Proust needs time. He’s incredibly readable, but dense too. Every sentence requires attention. The sheer volume of wit, psychological insight, sociological comment and just sheer style demands concentration. It’s a great read, but it’s not a great daily commute read. Quite honestly I’ve no idea how I’ll write it up once I have finished it. Inadequately is probably the best answer I have. How else could it be? To write with any accuracy about the scope of this volume alone would need more words than Proust needed to write it. Still, it should be fun to make the attempt doomed as I know it will be. Recently at bookaroundthecorner’s blog there was a discussion regarding the familiarity characters in 19th and early 20th Century fiction have with the financial markets. Often they display a casual knowledge of the merits of different classes of investment that’s quite alien today. The modern middle classes don’t, can’t, discuss gilt rates over dinner unless some of them actively work in the bond markets.The middle classes of the late Victorian/Edwardian period appear much more comfortable in this territory. My personal theory is that it’s related to the need to procure a remittance (a competence as it was once wonderfully called) which doesn’t require the beneficiary to actually engage in work. The range of occupations open to the upper middle classes and upper classes was relatively narrow. There was no real social safety net. To maintain position, particularly in old age but also during the more active years, required a source of income not dependent on a job. In this period the only pension you had was likely that which you provided for yourself. The only illness or unemployment protection came from your investments. If you wanted to live as part of “society” you needed a source of income that didn’t tie you up when you could otherwise be calling on people and participating in the social whirl. Class and money are ever hard to separate, and while one is not the same as the other (even in America) class is hard to sustain without money and after a generation or two money tends to buy class. The characters of the novels of this period then know financial instruments because they have to. It’s an integral part of their world. They know them because not to know them would be folly, and because their parents would have known them too. They are part of ordinary conversation because familiarity with them is key both to survival and to social position. Today it’s very different. There isn’t the same stigma about working for a living, and the growth of the superrich has made incomes that would once have been counted wealthy now merely comfortable. The young men (and now women) of the upper middle classes who would once have lived on their competence while doing some light duties at the bar or the City now compare themselves to oligarchs, CEOs and top traders and in that company a solid competence from land and investments really doesn’t cut it anymore. On the other hand, we do now have pension plans, occupational contribution schemes, unemployment benefit and sick leave (to varying degrees of protection according to country). Equally importantly, perhaps more so, we no longer have the stigma of debt. The characters of these great novels of the past fear debt as social catastrophe, but now it’s commonplace (consumer debt is even an underpinning of our economic model). At worst those characters could even face prison for debt. That’s unthinkable today. The characters of these novels mostly live lives of considerable comfort but comfort stretched over an abyss. Today that comfort is less easily obtained, but the abyss too is no longer bottomless. There’s a long way one can fall, but not so far as prison and the workhouse. That’s why I think finance is so important to pre-First World War fiction. The anticipated readers of literary fiction of the day would have needed to know such matters and so would have been interested in them. Today finance is more abstruse, less common knowledge. It is alchemy and the ways of the bond market are neither known by nor of interest to a contemporary readership. Anyway. It’s brilliant. That’s not a surprise, after all it’s famous for a reason. But it’s also dense. It demands a degree of concentration, of attention. It repays that, but it’s best if you’re reading it to make sure you have some free time to do so. Lately I’ve been working long hours, and that makes reading Proust a challenge. What I’ve been most impressed with so far is how funny much of it is. It’s actually one of the funnier books I’ve read recently (not hard I admit, I’ve read some Derek Raymond not that long ago after all). What’s also fascinating is its style. It’s discursive. It wanders off in tangents. When you start a paragraph it’s wholly unclear how it will end up. All that said, I came across one passage that reminded me irresistibly of my own childhood. Like many children I was discouraged from reading. It was seen as unhealthy. Reference was made to “having my nose always stuck in a book”, and I was regularly commanded to go out and play. That all sounds a bit Dickensian. It wasn’t. It was just that most of my family weren’t readers. To them, it seemed a waste to sit indoors reading a book when I could have been outside playing football or whatever. They meant well, but the result was I’d just go and read outside somewhere instead of reading inside. It’s somehow fitting that while reading Proust I was suddenly transported back to my own childhood, and reminded of arguments with aunts who I love to this day but who couldn’t for the life of them see what on earth I was wasting my time with a book for. Across barriers of country, culture, time and indeed class, people remain much the same. More on Proust soon. There’s a lot to talk about in this book. I’ve not finished it yet (and this is just the first volume), but I can already say that In Search of Lost Time deserves its fame.